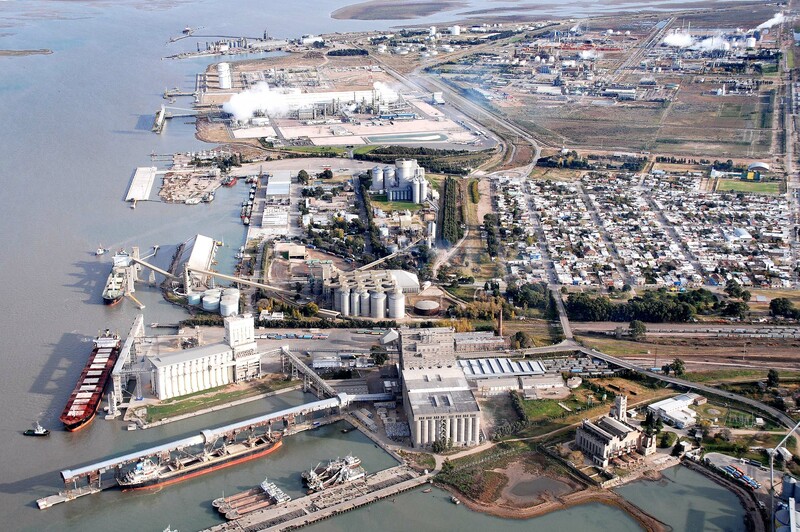 Bahía Blanca in spanish means “White Bay” for the salt covering the soil in the ocean side city. It is located in the province of Buenos Aires. It is a very important port city in the country, exporting oil, wool, and grains from the southern portion of the country. It has a population of 301,000 people which is close to the population of Lexington Kentucky. Part of the harbor of Bahía Blanca. The city was established 188 years ago as a fort, to protect the population from cattle rustlers, and to provide protection from the Brazilian Navy who had landed there the previous year. The Lonley Planet says that Bahía Blanca is the current largest navy base in all of South America. If you are a basketball fan like me you will find it interesting to know that Bahía Blanca is the home of San Antonio Spurs all star player Emanuel Ginóbili. The city is also considered the leading city of basketball in the country. A google search revealed one possible baptist church in the city. A friend of mine told me that he thought he heard that a missionary had gone there in recent years but we can find no information about this. Please pray for this city. What an awesome opportunity to get the Gospel to this city.